I’ve heard from many magazines and articles that glucose-fructose could lead to weight gain. Dempster’s BodyWise bread has glucose-fructose/sugar listed in their ingredient, but has only 1 gram of sugar per serving. 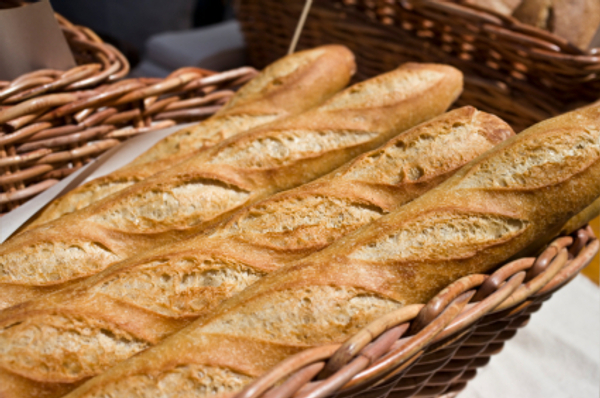 Could eating this bread lead me to weight gain? This is a case where context is crucial. In case there is any confusion, by the way, table sugar (sucrose) is made from a combination of glucose and fructose. This is actually the first time I have ever seen an ingredient list that identifies sucrose this way. As far as sugar causing weight gain — my answer is always “yes and no”. On the one hand, there is nothing intrinsic in sugar that causes weight gain. Sugar is pure, fiberless carbohydrate. Consequently, we can easily consume hundreds of calories of it without feeling satiated. The United States consumes extraordinarily high amounts of added sugar on a daily basis — an average of 360 calories’ worth, per person, per day! To further expand on point number one, consider the fact that it takes four or five oranges to produce your average 8-ounce glass of orange juice, which you can down in seconds and not feel too satiated by. Imagine, however, eating five whole oranges in one sitting. The additional fiber would make most people feel pretty full after just two or three! With that in mind, a slice of bread that contains a mere gram of added sugar (one-quarter teaspoon, or four calories) is absolutely not worth worrying about. The answer is probably no, but I’ve never heard the question asked. Does toasting bread change its nutritional value? Toasting bread lowers its glycemic index (the degree to which it can spike blood sugar). This is more pronounced in breads made with white flour. Toasting lowers the levels of two B vitamins (thiamin and folic acid) and the amino acid lysine. 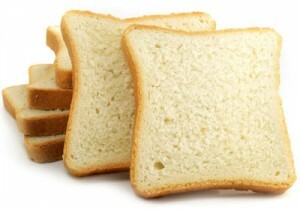 The longer the bread is toasted, the greater the loss of these nutrients. Since these nutrients are abundantly consumed in the standard U.S. diet — and bread has very low levels of lysine anyway — their slight loss via toasting is not worth worrying about. The biggest misconception I have heard about toasted bread is that it contain less calories than untoasted bread. Untrue! However, a slice of toast requires more chewing than an untoasted slice, which helps trigger satiety faster (thereby helping you achieve a feeling of full with a lower amount of calories). You Ask, I Answer: Enriched Whole Grain Bread? 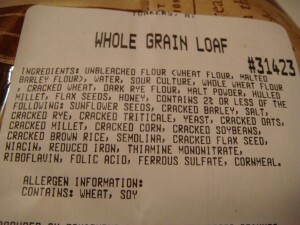 I love this Costco whole grain loaf [I took a photo of the ingredient label for you to see] but have questions regarding some of the ingredients that go into it, namely the thiamine mononitrate, the riboflavin and the ferrous sulfate. I know that they can be described as dietary supplements but I am an avid whole grains baker myself and never add any of that to my breads. Two questions: Should I? Do these nutrients double as dough conditioners and could it the reason Costco is using them? Guess what? Contrary to what Costco wants you to think, that loaf is not 100% whole grain. Notice the first ingredient? Unbleached flour? That’s refined white flour. Sure, whole wheat flour is the fourth ingredient, so this bread contains some whole grains, but it is not an entirely whole grain bread. 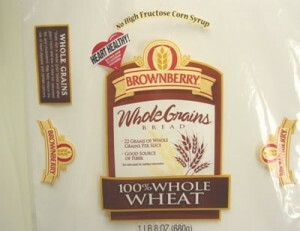 If you seek 100% whole grain products, look for whole grain flours as the first (and only) ingredient. In the United States, per the National Enrichment Act of 1942, all refined grain products MUST be enriched with niacin, thiamin, riboflavin and iron. Folate is a fortified nutrient and was not legally required to be added to refined grains until 1998. Remember, enrichment refers to putting nutrients lost during processing back into a food, while fortification entails tacking on nutrients not naturally found in a given food. When a bread is 100% whole grain (meaning ONLY whole grain flours are used), it is not enriched. These nutrients do not double as dough conditioners; they are there because it’s the law! By the way, this would only be considered false advertising if the loaf was sold under the guise of being “100% whole grain.” It is TECHNICALLY a whole grain loaf since it DOES contain whole grains. Trust me, manufacturers know this. They also know the words “whole grain” help boost sales. Does that have any nutritional implications? 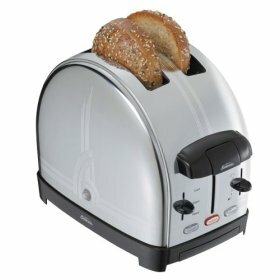 Is it similar to a whole wheat bread? Most conventional breads sold at supermarkets (which I assume are the ones you are asking about), however, use the term as a healthy-sounding catchphrase in an attempt to confuse consumers who are looking for healthier breads. The main problem here is that the Food & Drug Administration has not drafted a legal definition of “stoneground.” It can basically mean whatever food companies want it to mean! This is very much akin to the lack of definition of the term “natural ingredients,” which permitted 7-Up to launch a “made with all natural ingredients” campaign a few years back. Most major bread companies can get away with labeling their breads as “stone ground” if the flour has gone through a stone mill just one time. This is all irelevant, though. White flour has the same nutritional profile regardless of the type of mill it is processed in. The most important thing to look for when purchasing bread is that the first ingredient is a WHOLE flour. Any word other than whole — such as “stoneground”, “unbleached”, or “enriched” — means the main ingredient is white flour with virtually no fiber. I came across a fascinating article from the November 25, 1984 issue of The Washington Post Magazine this weekend. The title: How Wonder Bread Survived the Whole-Grain Revolution. The article mentions how that fluffy white thing almost ceased to exist in 1980 after sales plummeted as a result of the “whole grain trendiness” in the 1970s (nutrition, like fashion, is all about repeating cycles) and the emergence of artisan breads that cast white bread in the most boring of lights. And if you think deception in food advertising is a new thing, think again. In 1971, the Federal Trade Commission accused Wonder Bread of making false nutritional claims in a TV advertisement that credited the product with helping children grow to “90 percent of adult height”. Ten years later, Wonder Bread was in hot water again, this time for a TV ad with the slogan “nutrition whole wheat can’t be beat.” False advertising, much? He is partially right. Wonder Bread’s parent company (Interstate Bakeries) declared bankruptcy in 2004 and quickly 100% whole wheat loaves to its line. Although today’s market may have more variety, deceptive sales tactics — particularly with non whole grain breads advertised as such — unfortunately still abound. You would think something as simple as nutritious bread would be easy to pick out. The sliced bread market brings in approximately $18 billion a year, meaning consumers must sort through a maze of brands, health claims, and expensive marketing campaigns. Alas, Perfect Pickings is here to save the day! 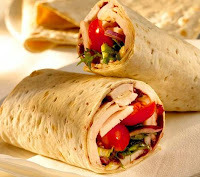 As far as calories are concerned, commercial sliced breads range anywhere from 60 to 120 calories per serving. These figures mainly depend on the thickness and weight of a particular brand’s slices. Some clock in at 1 ounce, while another weigh in at an ounce and a half. Some lower-calorie “light breads”, though, constitute a single serving as two slices. Most standard commercial breads, though, are very similar when compared ounce to ounce. Don’t focus too much on calories — the differences aren’t that significant, and there are more important values to consider. Sodium amounts are also fairly consistent across the board, ranging from 120 to 190 milligrams per slice (unless you specifically buy low-sodium varieties or sprouted grain breads, which contain no sodium). Fiber is the main figure to be on the lookout for. Aim for at least 3 grams of fiber per serving. Don’t be fooled by varieties consisting of 9, 12, or 15 grains. It is very possible all 15 grains are refined and stripped of their fiber. You must check the nutrition facts and ingredient list to ensure you are getting a whole grain product. If “whole wheat flour” is not the first ingredient and each slice provides less than 3 grams of fiber, you are eating white bread (you can thank the addition of molasses for that brown color) with seeds sprinkled on top. Keep in mind that Although pure rye bread – popular in Scandinavia – is a whole grain food, the overwhelming majority of rye breads in the United States contain a significant amount of white flour. Another tricky tidbit – careful with low-calorie “light” breads. Many boast a fiber content of 5 or 6 grams per serving, but this is mainly due to the addition of cellulose or soy fiber. Although they operate like insoluble fiber (by helping everything move quickly and smoothly through the digestive system), they do not provide the same health benefits as fiber derived from whole grains. I recommend avoiding varieties containing high-fructose corn syrup (bread requires a pinch of sugar to soften texture, but HFCS skeeves me out). A few hours ago I spotted an advertisement for Arnold’s new Double Protein Hearty Multigrain bread in my gym’s locker room, of all places. “12 grams of protein!” the ad boasted. The little asterisk attached to the word protein directs you to fairly tiny print explaining that 12 grams are found in two slices. So this new bread offers 110 calories, 200 milligrams of sodium, 3 grams of fiber, and 6 grams of protein per slice. Oddly enough, Arnold’s website erroneously attributes 6 grams of fiber to each slice — oops! 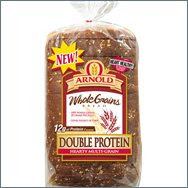 I’m not sure where this “double protein” terminology is coming from, seeing as how Arnold’s Health Nut whole grain bread contains 110 calories, 190 milligrams of sodium, 2 grams of fiber, and 5 grams of protein per slice. I really wonder if there was consumer demand for a bread with an extra gram of protein, especially considering that the average adult in the United States consumes approximately 200% of his/her daily protein requirement. No one is deficient or needs more in their diet. I’m not necessarily dissuading anyone from picking this up at the grocery store; I just don’t see a reason to. The ingredient list reveals two interesting things: the extra protein comes from rice (not the highest quality) and high fructose corn syrup is the fourth ingredient (following whole wheat flour, water, and wheat gluten). So here’s a suggestion for the Arnold bread execs — how about some corn syrup-free bread? Or, if you want to do your part in helping people achieve their health goals, take a stab at a slightly higher fiber bread.